Race others with cars boats or planes! Bloboats is a free game. This means that the source code is available to be studied, modified, and distributed. Most projects look for help with testing, documentation, graphics, etc., as well. Bloboats is a side-scrolling arcade racing game. 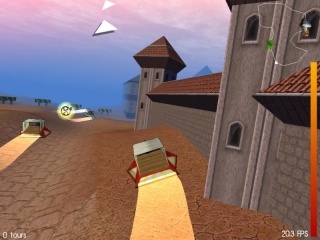 The game is similar to X-Moto, but the player controls a jet boat instead of a motorcycle. Extreme Tux Racer is a free game. This means that the source code is available to be studied, modified, and distributed. Most projects look for help with testing, documentation, graphics, etc., as well. Extreme Tux Racer is a racing game which forked off Tux Racer after work on it ceased. It was formerly known as Planet Penguin Racer. The latest version of the game is 0.6 released on September 14th, 2013. Both the data and the game are licensed under the GPLv2. Music: CC BY-NC-SA, some under CC BY-SA. Maniadrive is a free game. This means that the source code is available to be studied, modified, and distributed. Most projects look for help with testing, documentation, graphics, etc., as well. Maniadrive is a racing clone of Trackmania written by an author with the pseudonym xfennec. The latest version of the game is 1.2 released on August 21st, 2006. The code is licensed under the GPL, while some of the media are also under the GPL but some are licensed under CC-BY-SA. Maniadrive is flagship game of Raydium 3D engine. Game contains level editor and there are community forums where homemade tracks are showed. The music is released under the non-free CC BY-NC-SA license, but a fully-free version, with non-free music removed, exists. See Fedora repository for freed packages with replacement soundtrack. Racing games is a free game. This means that the source code is available to be studied, modified, and distributed. Most projects look for help with testing, documentation, graphics, etc., as well. 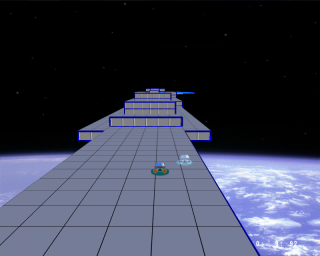 Orbit-Hopper is a clone of the video game SkyRoads (1993), a 3D racing and platform game. 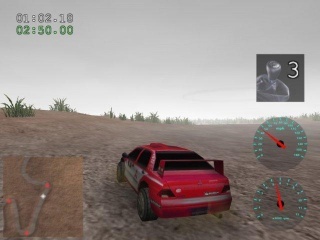 It provides full 3D graphics, a level editor, and multiplayer with split-screen. Pixel Wheels is a free game. This means that the source code is available to be studied, modified, and distributed. Most projects look for help with testing, documentation, graphics, etc., as well. Pixel Wheels is a 2D top-down racing game developed by Aurélien Gâteau. The game source code is licensed under the GPL 3.0+ (game logic) and Apache 2.0 (other code), and the media is licensed under the CC BY-SA license. 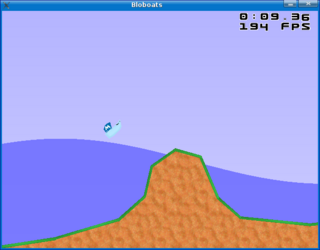 PyRacerz is a racing game written in the python library with the pygame library. It is licensed under the terms of the GPL v2. The latest version of the game is 0.2 released on October 16th 2005. Rigs of Rods is a free game. This means that the source code is available to be studied, modified, and distributed. Most projects look for help with testing, documentation, graphics, etc., as well. Rigs of Rods (RoR) is a 3D vehicle simulator licensed under the GPLv3. 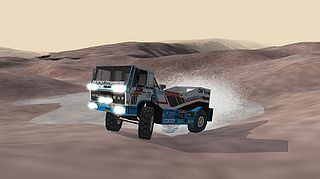 What makes Rigs of Rods different to most simulators is its unique soft-body physics: vehicles, machines, objects, etc. are simulated in real-time as flexible soft-body objects, giving the simulation an extremely accurate behaviour which entirely depends on the physical construction of the vehicles or objects you create. Jean-Baptiste Lamy (Jiba) / Nekeme Prod. Slune is a free game. This means that the source code is available to be studied, modified, and distributed. Most projects look for help with testing, documentation, graphics, etc., as well. Slune is an action game. The latest version of the game is 1.0.9 on August 8th, 2005. 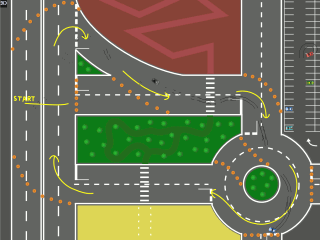 It is written in the Python programming language using the SDL library. It was written by Jean-Baptiste Lamy. Speed Dreams is a free game. This means that the source code is available to be studied, modified, and distributed. Most projects look for help with testing, documentation, graphics, etc., as well. 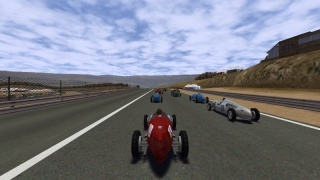 Speed Dreams - an Open Motorsport Sim is a racing and programming game based on TORCS. The source code is licensed under the GPL while the data are licensed under the FAL. SuperTuxKart is a free game. This means that the source code is available to be studied, modified, and distributed. Most projects look for help with testing, documentation, graphics, etc., as well. SuperTuxKart is a racing game featuring the Linux kernel mascot Tux. It is an enhanced fork of TuxKart. It is written in the C++ programming language. It uses Antarctica (a heavily modified version of Irrlicht engine) for graphics and OpenAL for sounds. 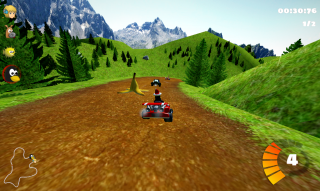 SuperTuxKart was worked on by the GotM team through July to December 2004. TORCS is a free game. This means that the source code is available to be studied, modified, and distributed. Most projects look for help with testing, documentation, graphics, etc., as well. Trigger is a free game. This means that the source code is available to be studied, modified, and distributed. Most projects look for help with testing, documentation, graphics, etc., as well. Trigger is a 3D car racing game written in C++ by Jasmine Langridge and Richard Langridge. It is licensed under the GPL and a BSD-like license. The latest version of the game is 0.5.2.1 released on October 10, 2006. It supports keyboard, joystick, or joypad control, and anaglyph stereo output. TuxKart is a racing game featuring the Linux kernel mascot, Tux. It was written by Steve and Oliver Baker. 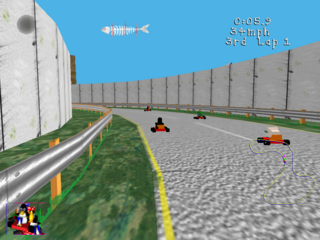 The codebase was eventually forked by the GoTH development team as the basis for SuperTuxKart. It is licensed under the GPL. The latest version of the game is 0.4.0. It uses PLIB, a game development library. 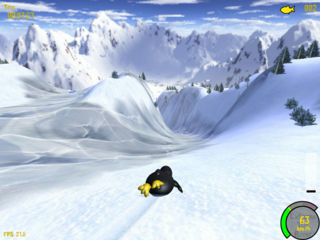 TuxRacer is a 3D racing game featuring Tux, the linux mascot. 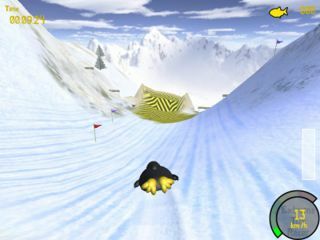 Gameplay consists of sliding down a slope consisting of snow, cliffs, ice, trees, and Herrings. Yorg is a free game. This means that the source code is available to be studied, modified, and distributed. Most projects look for help with testing, documentation, graphics, etc., as well. ↑ STK FAQ accessed on October 21th, 2008. ↑ SuperTuxKart's GotM proposal thread accessed on October 21th, 2008. This page was last edited on 30 August 2013, at 08:27.